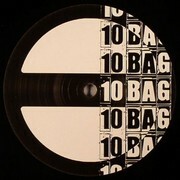 10bag come with their 4th release by phoenix based ULTRABLACK. These guys know how to make beats! BAYNGER is a deep dirty roller that will make you show your bassface! With excellent edits and little breaks that stop and start the squelchy bass. On the flip ULTRABLACK joined up with CLAW to bring out a little deeper track called ROLL HEAVY. This does exactly what it says on the tin, It rolls heavy! Ultra Black & Claw - "Rollheavy"
Mehr von 10 Bags Rec.